The Rev. 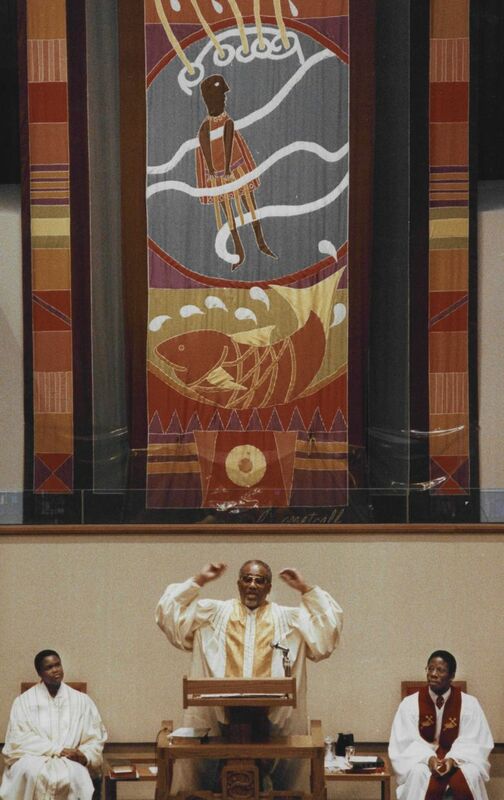 Dr. Samuel B. McKinney, pastor emeritus of Mount Zion Baptist Church in Seattle, had an influence that went far beyond the walls of his church. The Rev. 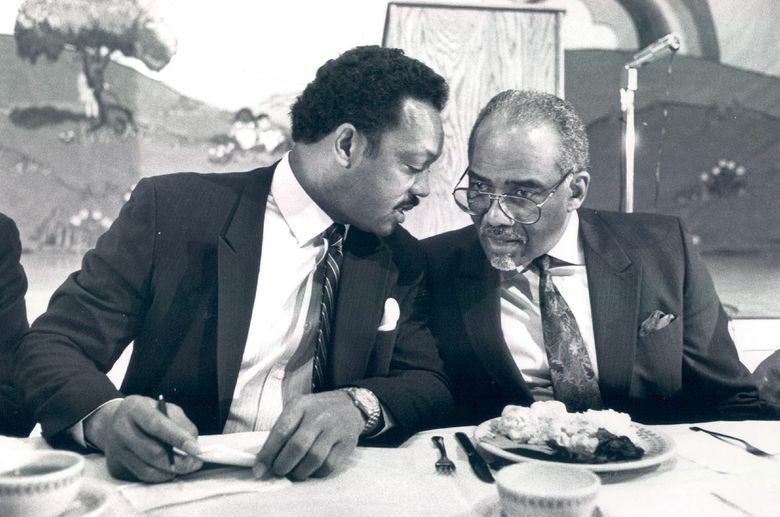 Dr. Samuel B. McKinney, the pre-eminent Seattle civil-rights leader and 40-year pastor of the Central Area’s Mount Zion Baptist Church, died Saturday at the age of 91 at an assisted-living center in Seattle. Dr. McKinney’s deep voice articulated insights on spiritual and civic matters for generations. 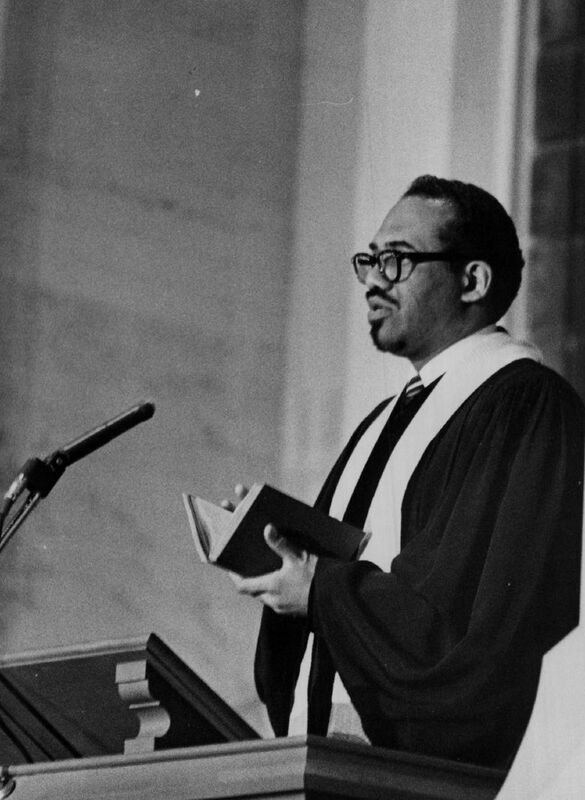 Guided by the conviction that religious faith requires a commitment to social justice and equality, Dr. McKinney influenced a variety of local institutions. 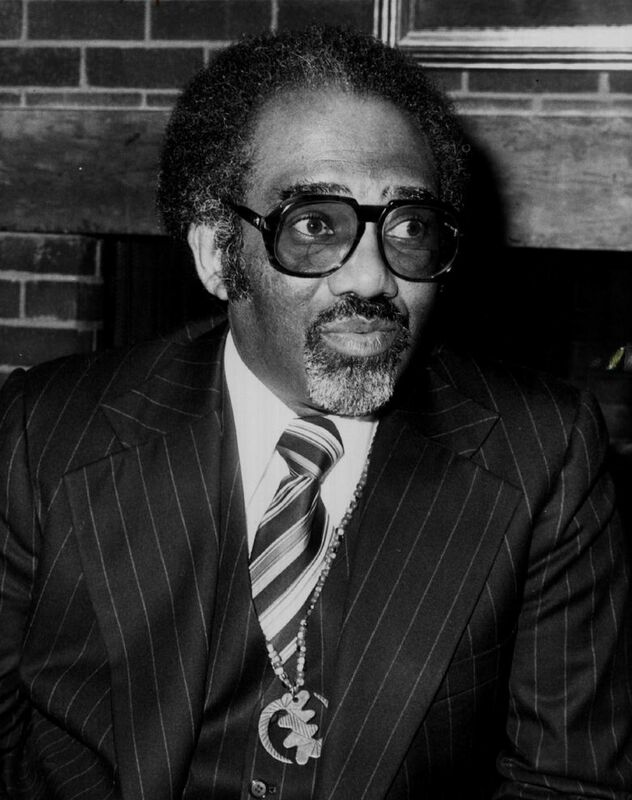 Dr. McKinney helped launch the city’s first black-owned bank after local banks restricted loans to African Americans. 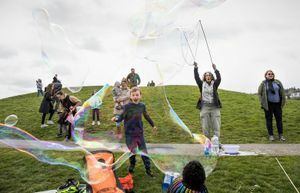 He served as an original member of the Seattle Human Rights Commission, which successfully advocated for passage of Seattle’s first fair-housing act. In the 1960s he took part in civil-rights demonstrations in Seattle, Alabama and Washington, D.C. And he talked his college classmate, the Rev. 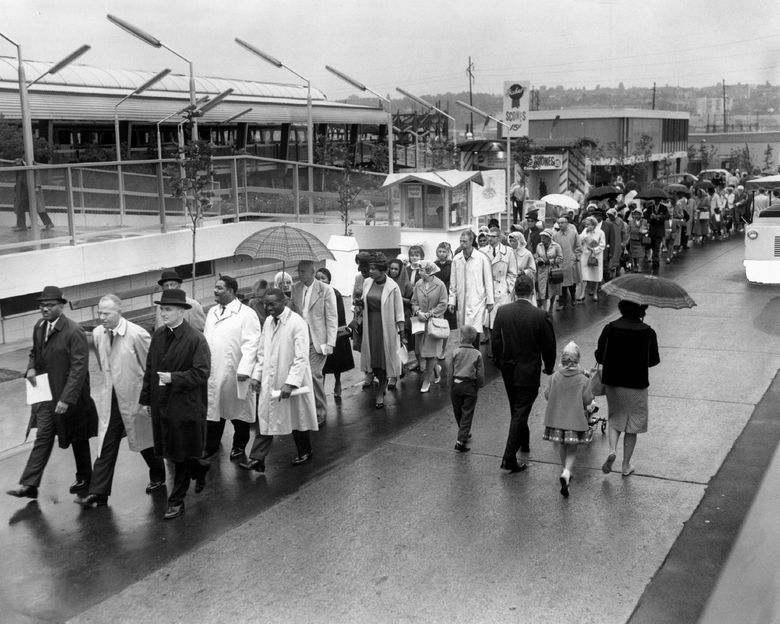 Dr. Martin Luther King Jr. — their fathers were pastors and friends — into coming to Seattle in 1961, which would be King’s only visit to the city. 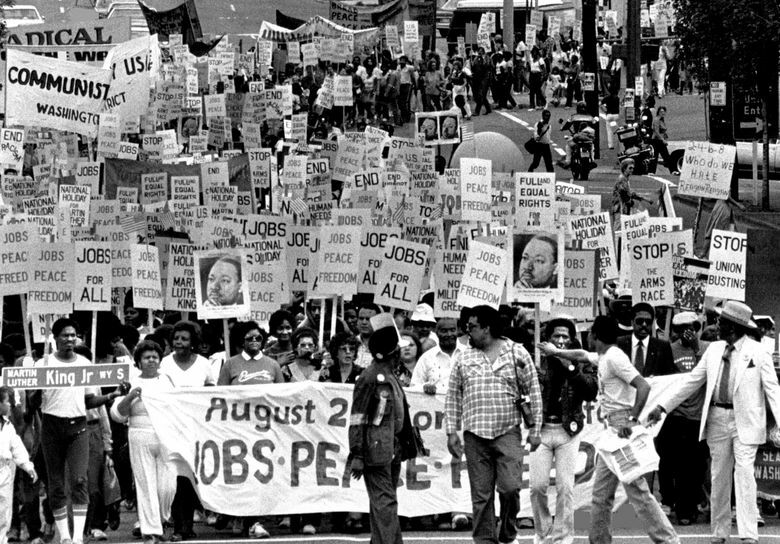 In the mid-1980s, Dr. McKinney was arrested while protesting apartheid outside the South African consul’s house in Seattle. Those actions and more spread his influence far beyond the walls of Mount Zion, one of the area’s oldest and largest African-American churches. Civic officials and activists of different races and religious denominations viewed him as a sounding board and important ally. “The push for equal employment, housing and educational opportunities from Dr. McKinney’s bullhorn are issues we still work to solve today,” said City Councilmember Bruce Harrell, who helped lead the effort to rename the street. 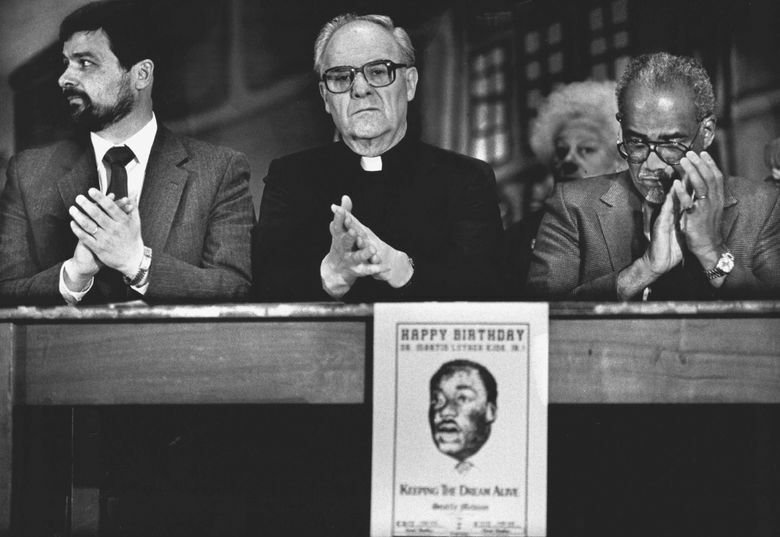 Samuel Berry McKinney was born Dec. 28, 1926, in Flint, Michigan, to the Rev. Wade Hampton McKinney and Ruth Berry McKinney. 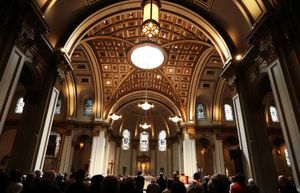 He was still young when the family moved to Cleveland, where his father was a Baptist pastor who hosted visits from civil-rights leaders such as Thurgood Marshall, who would go on to become the first African-American member of the U.S. Supreme Court. Although young Samuel McKinney followed in his father’s footsteps to Atlanta’s all-male and historically black Morehouse College, his initial career goal was to become an attorney, hoping to work on civil-rights issues. Years later, he explained his career shift by saying a Morehouse professor told him that law can be a powerful tool once an injustice is committed, but that religion can influence people and institutions away from committing the injustices in the first place. 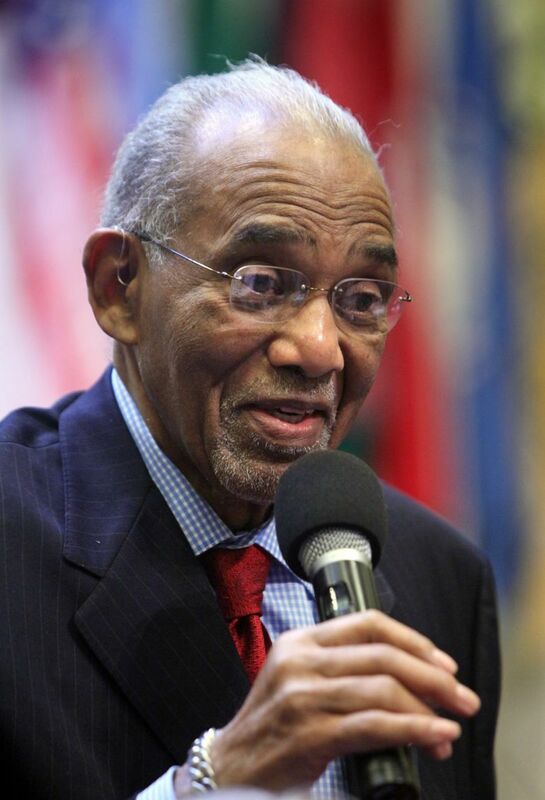 After serving in the Army Air Forces in the last days of World War II, Dr. McKinney graduated from Morehouse College in 1949 and from New York’s Colgate Rochester Divinity School in 1952. In 1975, he received his doctorate of ministry from Colgate Rochester. In 1976, he co-authored “Church Administration in the Black Perspective,” a book still in use today, through several printings. In his commitment to church and community, Dr. McKinney was joined by his wife, Louise, who died in 2012 after 59 years of marriage. In addition to her work with the church and other community organizations, she worked as a teacher and principal in Seattle Public Schools. After heading a church in Rhode Island for several years, the couple came to Seattle and Mount Zion in 1958. Under their leadership, Mount Zion’s congregation more than tripled to 2,500. Inside and outside the church, Dr. McKinney sought ways to help those in need achieve success and stability. 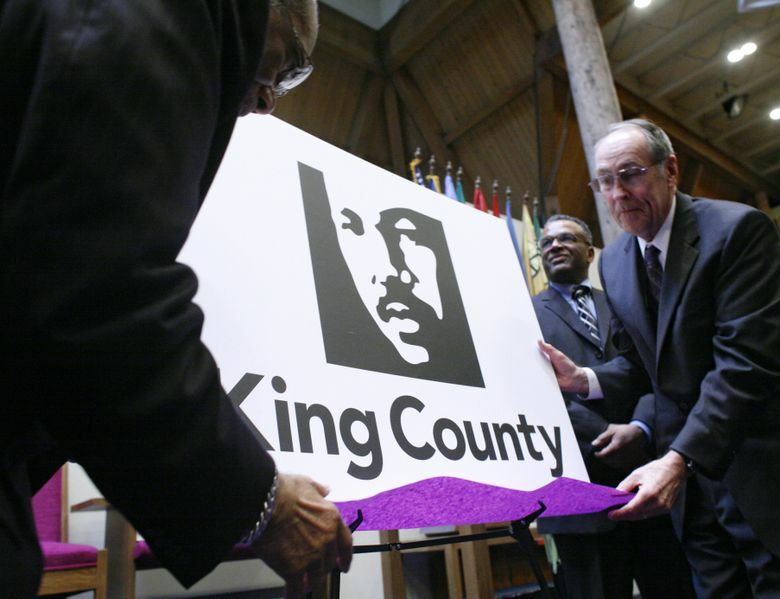 In 1966, he co-founded and served as first president of the Seattle Opportunities Industrialization Center, a nonprofit community-based vocational training center. 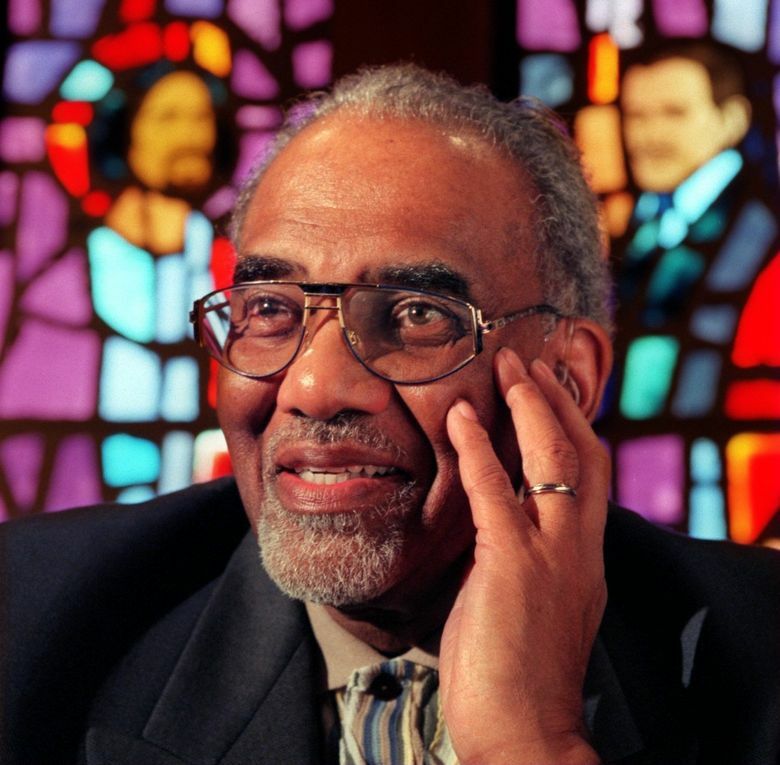 Over the years, Dr. McKinney served on boards and commissions of many organizations, including the Meredith Mathews East Madison YMCA, the Fred Hutchinson Cancer Research Center, and was the first African-American president of the Church Council of Greater Seattle. Dr. McKinney’s work to establish racial equity, such as his work with housing, banking and policing, was both spiritual and practical. “He understood the challenges of redlining and the degree to which financial institutions were discriminating against poor neighborhoods,” said Dale Soden, a history professor at Whitworth College who interviewed Dr. McKinney several times. Although racial inequities persist, Dr. McKinney said in a 1993 interview with The Seattle Times, he noted progress in some fundamental areas. Dr. McKinney is survived by two daughters: Dr. Lora-Ellen McKinney and Rhoda McKinney-Jones. Services have yet to be arranged.